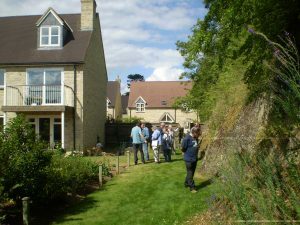 Oxfordshire Geology Trust run a variety of activities. Here are some examples of what we do. Join us for a walk with a difference! 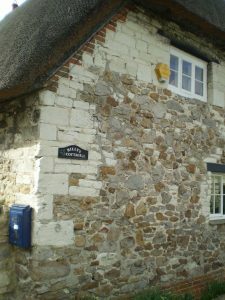 We run walks around local towns and villages to explore the geology, building stones and landscape of the area. 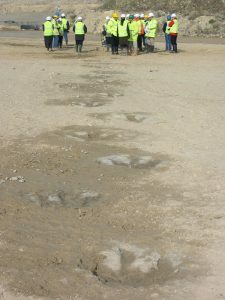 We take groups into local quarries for the chance to get up close to some of the county’s best geological exposures. We provide hard hats and high-visibility jackets. 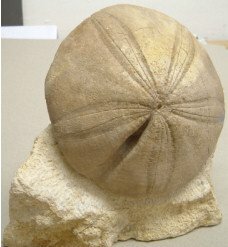 From ammonites, to sea urchins to ancient coral reefs – Oxfordshire is packed full of fantastic fossils. 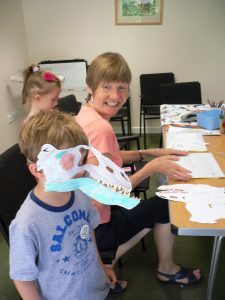 Come along to an OGT fossil hunt to find some of your own. You may make an important find. The fossil on the right below was found in the Faringdon Sponge Gravels and is a fin spine from a Cretaceous hybodont shark, on which a sponge has later grown. The specimen is now in the Oxford University Museum of Natural History. We can provide speakers for geology talks to local groups. 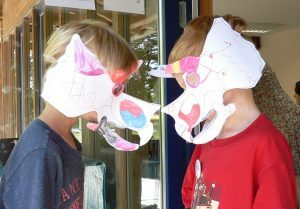 Join us at an OGT Dino Day – make a plaster-cast fossil, pan for gold, design your own dinosaur, and much more! 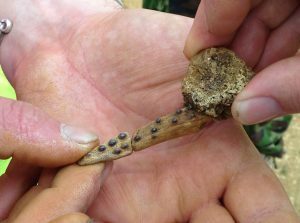 We also run rock and fossil identification days, where you can bring along any rocks and fossils that you want identifying. 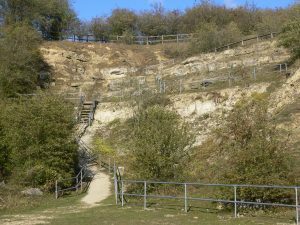 It is important to look after Oxfordshire’s geological sites, and OGT monitors these sites and maintains them by organising working parties to carry out clearance and conservation work. 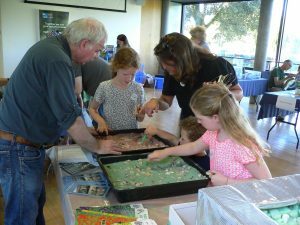 Our Geoconservation Days are great opportunities to get your hands dirty whilst discovering the local geology.